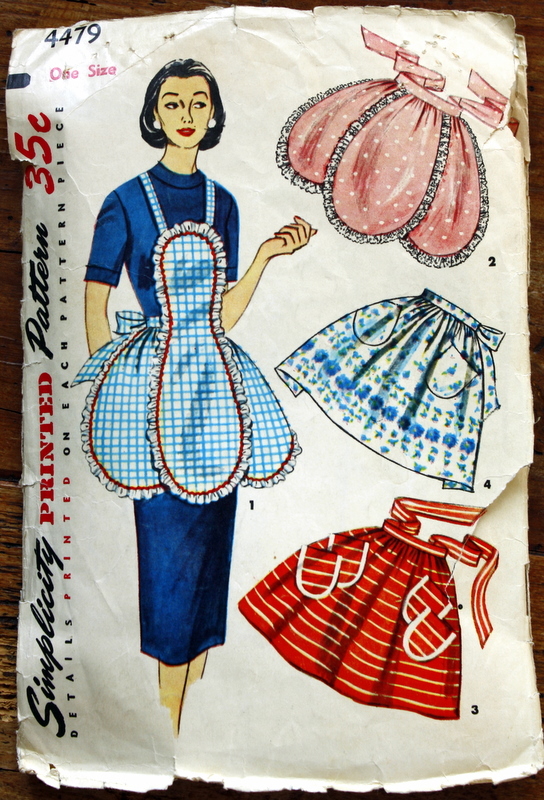 A few weeks ago my mother gave me some old vintage apron patterns that used to belong to my grandmother. 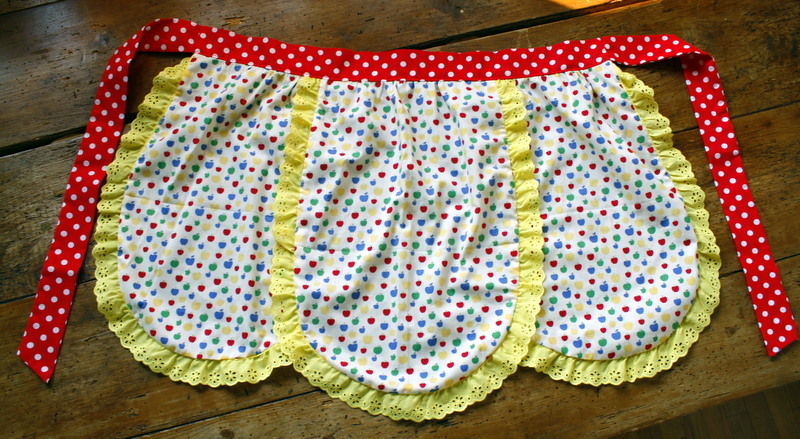 I finally chose a model I wanted to sew and this is the result. I was going for a little folkabilly look (cross between happy homemaker from the 50’s, a folksy peasant lady and rockabilly). The pattern was really easy to follow and I love the fact that all the pieces were already cut out and ready to use. 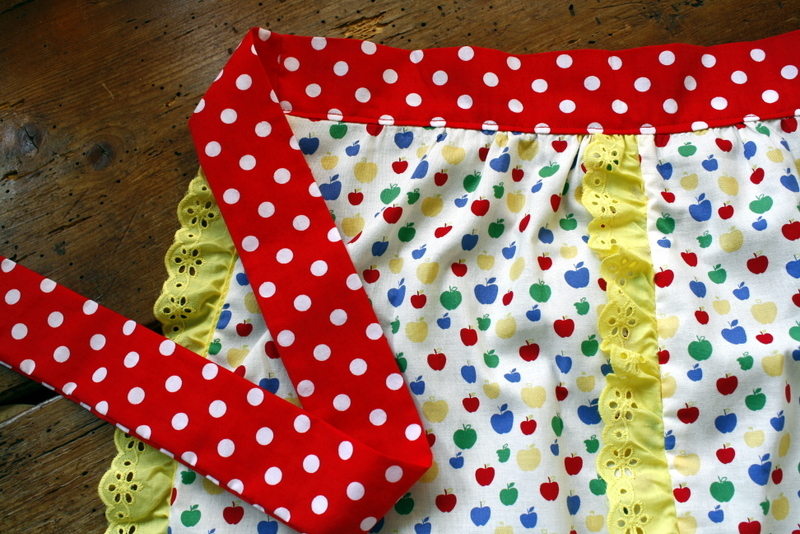 Which means my grandmother probably made this exact same apron about 50 years ago. I’m going through an apron phase at the moment and I’m really looking forward to going apron shopping in Japan next month. Maybe I’ll even find an easy to follow pattern such as this. Isn’t it great? I’ll do my best to find a pattern and if I do I’ll send it to you! Margaret brought unfinished aprons, as well as te patterns? She just brought the patterns and lots of material. We made this apron together while she was here. I’ll be making lots more of the other models as well.